Happy Friday, friends! I have so many projects on the go right now, but nothing finished and photographed to share with you. It’s a case of things getting worse before they get better! One thing I did manage to cross off my list this week, however, was cleaning out and organizing our seasonal storage room. Now’s the time to get rid of old Halloween costumes and decorations before charities won’t take them for another year. Something to think about with your Christmas stuff too! Speaking of Christmas, today is the start of 2014’s Holiday Countdown. You can find out more at the bottom of this post- exciting stuff! Those of you who are familiar with Craftberry Bush know that Lucy has a knack for pulling looks together. 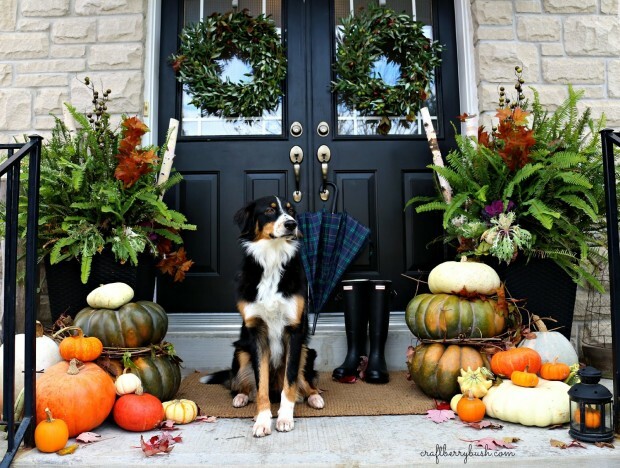 Love her gorgeous fall front porch (with adorable puppy dog and all). So impressed with Allison’s use of a small corner in her basement to create this rustic office nook with shelves- so clever! 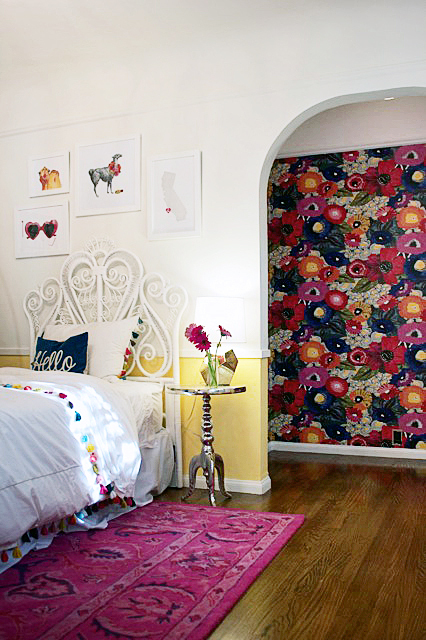 Check out this bold floral wallpaper Kristin from the Hunted Interior used in her client’s “big girl” room- stunning! 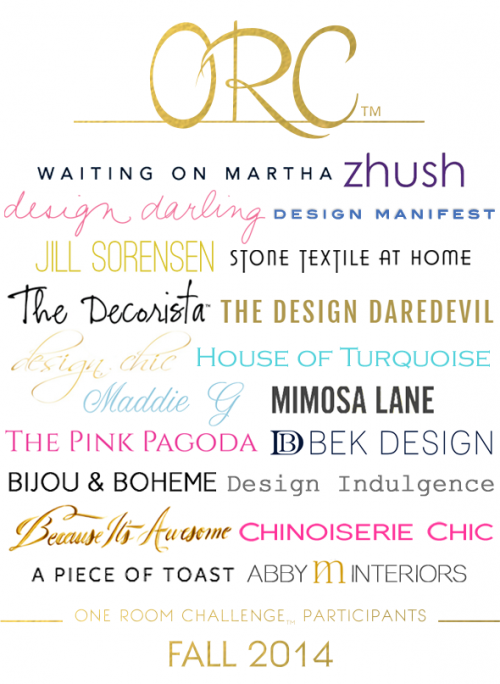 I recently stumbled upon Jenna Sue’s blog and immediately fell in love with her style. 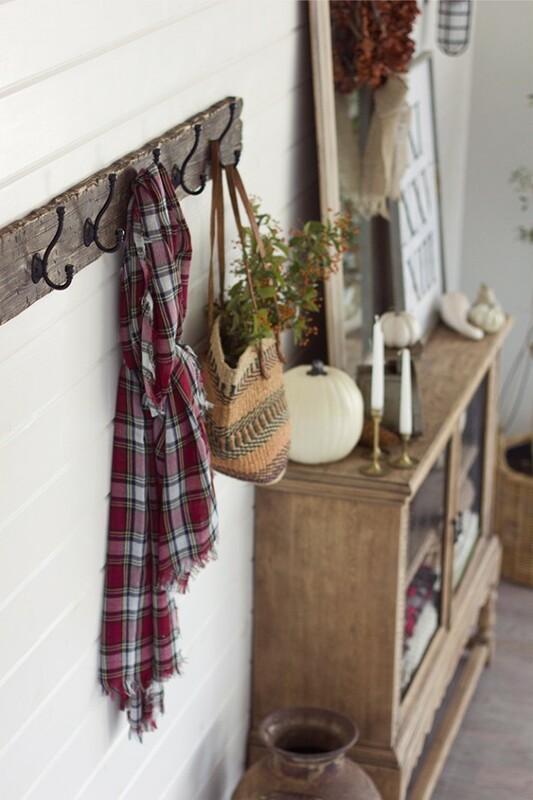 Check out this simple reclaimed wood coat rack she made, along with more rustic goodness! On another note, are you following this round of Calling it Home’s One Room Challenge? I can’t believe some of the transformations to this point! 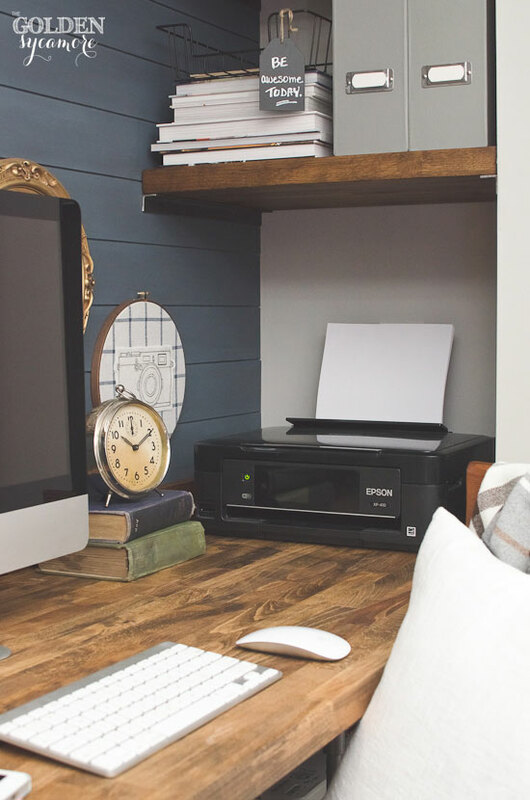 I participated in this series last October tackling my office, and let me tell you how fast a week flies by. Can’t wait to see the finale! Joining the Holiday Countdown this year? It’s a series I created to get the most out of the Christmas season by spreading tasks and expenses over the course of 8 weeks instead of cramming in December. Whether you’re a newcomer or have been participating in this series for the past few years, I’m glad to have you on board! Updates will be every FRIDAY leading up to Christmas, so be sure to check back! Simply click on the image below to get your Week One homework and free printable (note: it’s a post I put together last year but the tasks are still the same)! I already have a couple of them done, not to brag or anything- ha! Thanks so much for the beautiful pictures and inspiration. I love the rustic office nook. ack! Holiday countdown already?! Now I’m stressed! But I do love that bold floral wallpaper!!! Totally looking for something like that when we finally do our Reno. Some beautiful decor ideas for sure! Christmas, though, I can wait for… ugh. Have a happy weekend Shauna!! I hadn’t seen the Hunted Interior before – now I have to check it out, because I LOVE that room. Can’t wait for the Xmas series! I love the countdown, will be joining in for sure. So the countdown is on – yippeee!! I think I’ll post about mine on my blog too, it will be fun! Hi Kimm, so glad you’re on board. Being from Canada, it’s quite normal to put lights up in October. We don’t turn them on, but it’s better than fighting with the snow and ice in late November. This year, our neighbours beat us to it. Ours will likely go up this Sunday (we’ve had a warm fall so everything’s a bit delayed this year).